Chisinau – Over 100,000 Moldovan children currently live overseas with their parents, who migrate from Europe’s poorest country. While the families may benefit financially, the children often lose touch with their community and culture, and even stop speaking their native language. 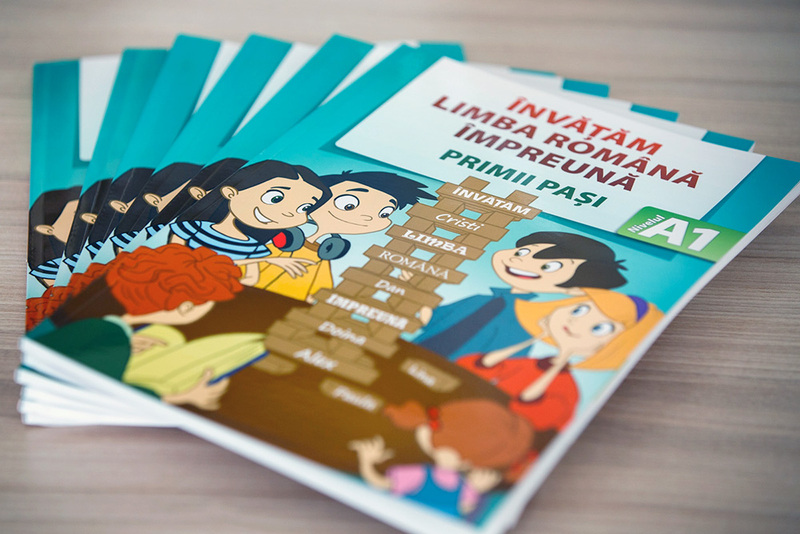 To tackle this, IOM this week (25/04) launched a set of educational materials to ensure Moldova’s diaspora children can carry on learning Romanian. A textbook, a guide for teachers and a curriculum have been developed and are currently being distributed to diaspora groups. 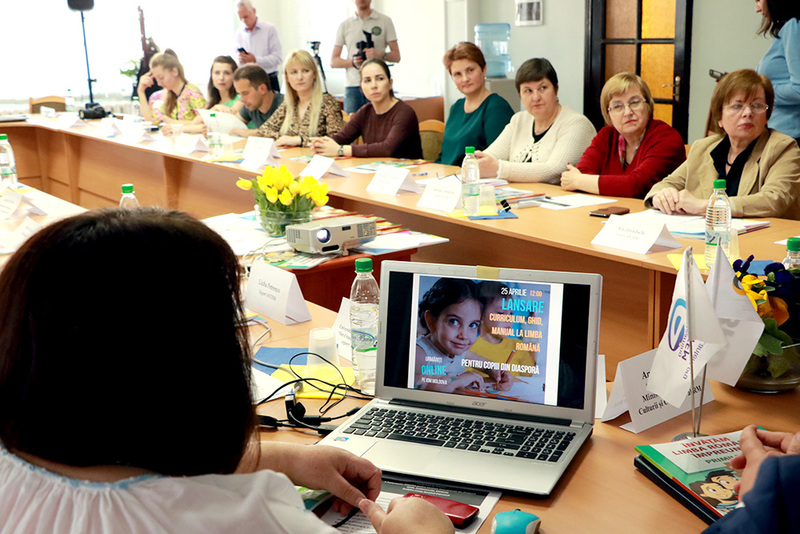 The educational books and guides were developed together with the Ministry of Education, Research and Culture of the Republic of Moldova, the Diaspora Relations Bureau and linguistic experts from the National Association of European Trainers, Moldova. The Ministry of Education has approved the curriculum, which makes this a first of its kind product not only for Moldovan diaspora but also for the Romanian-speaking diaspora abroad. “By approving this curriculum, the Ministry of Education sends a welcome message to the Moldovan diaspora – if they ever return to their homeland, their children will be able to reintegrate easier because they will be able to speak good Romanian,” said Ghenadie Cretu, IOM’s Migration and Development Programme Coordinator. Some 2,000 workbooks and Romanian literature books are being distributed to 14 educational centres in Italy, Portugal, France, Belgium, the Netherlands, Ireland, the Russian Federation, Georgia, Kazakhstan and Canada. The educational set was published via the IOM Development Fund. For more information, please contact Iulia Tvigun, IOM Moldova. Tel: +3736 9123 905; Email: itvigun@iom.int.